Rental apartments with spectacular views in Vancouvers’ west end. 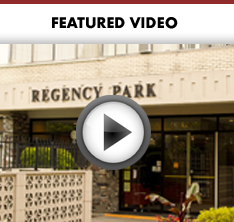 Welcome to Regency Park Apartments, featuring spacious studio and one bedroom apartments for rent in the West End neighbourhood of downtown Vancouver. All suites are renovated with new bathrooms & kitchens, plus most suites enjoy spectacular city and mountain views! To find out more about these Vancouver West End apartments for rent & to view floor plans, availability or to make an inquiry, click here. Have you heard about our Value Added Vendor program - click here for more information! View Our Available Suites. Regency Park offers bachelor and 1 bedroom rental apartments ranging in size from 440 to 580 square feet. All suites have been renovated and include a new kitchen and bathroom. Most suites have wonderful views. All the shops, services, and amenities you need are close by with lively Davie and Denman Street just around the corner. 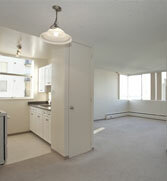 Walk to Safeway, Starbucks, McDonalds, Banks, London Drugs, and many other conveniently located shops. Enjoy the natural beauty of Vancouver’s West End with English Bay Beach and Stanley Park just steps away. Transit is also conveniently located right outside. Learn more about our incredible Walkscore! Inquire now about our available Vancouver West End apartments for rent and learn more about the amenities offered at Regency Park Apartments, including a fabulous outdoor pool and professionally maintained fitness centre.